That’s how Michael Corleone felt about the Mafia in Godfather III and it’s how I feel about Liverpool’s injuries this season. It’s a never ending circle of players being out, recovering, getting match fit, peaking, before beginning the process again. We are without Sadio Mane, our best player, and Jordan Henderson, our captain, for the final two games of the campaign, but two of our Brazilians are now facing a race against time to be ready for West Ham on Sunday. Jurgen Klopp today told a press-conference that Roberto Firmino has missed training as he ‘feels a muscle’ and Lucas has ‘felt two different muscles’ but will still take part in a session. 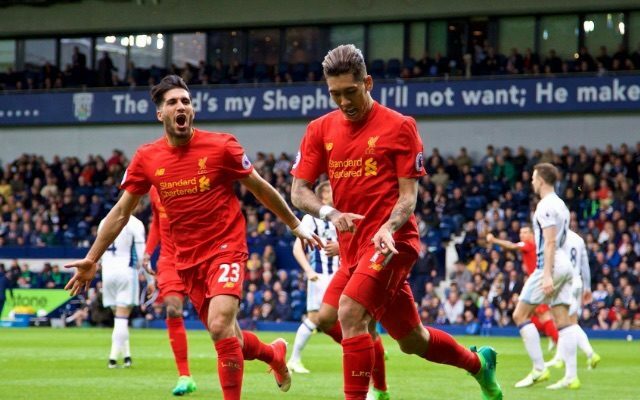 When players don’t train on Fridays, they very, very rarely play on Sundays under our manager – and the loss of Firmino could be devastating. Divock Origi has been woeful and many are hoping Daniel Sturridge will come in to replace him, but without Firmino, both could play alongside Coutinho in a front-three. The other option is to go with Coutinho and Lallana off Sturridge, with a hopefully fit Lucas alongside Emre Can and Gini Wijnaldum in midfield. Let’s just cross our fingers nobody else gets hurt before kick-off, as we’re running out of numbers.